If you “intendo” to get serious-o with your significant other, then you might want to present her with this Nintendo Controller promise ring. Fancy gems? Check. Unique design? Check. Gamer-approved? Check, check, and check! 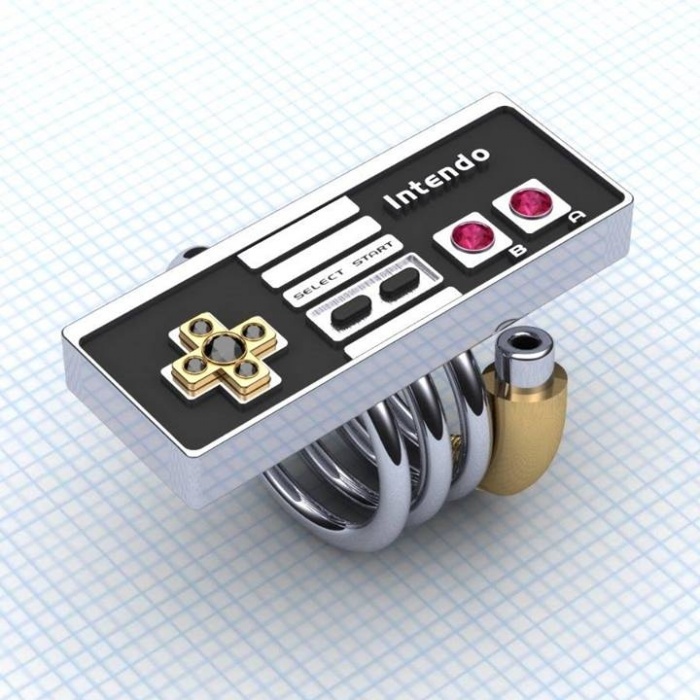 The ring was designed by Paul Michael Designs, who have cleverly dubbed their design as the “Intendo.” With gemstone buttons, a gold D-Pad, and silver “wire” that goes round and round your lovely lady’s finger, I doubt she’d turn you down. Just make sure you follow through and go for the ultimate level-up in your relationship: marriage. Times have changed. Getting down on one knee and popping the question after a romantic dinner isn’t good enough anymore. At least, not in the eyes of the many men and women who constantly see the amazing and definitely unusual proposals that people have been coming up with these past couple of years. 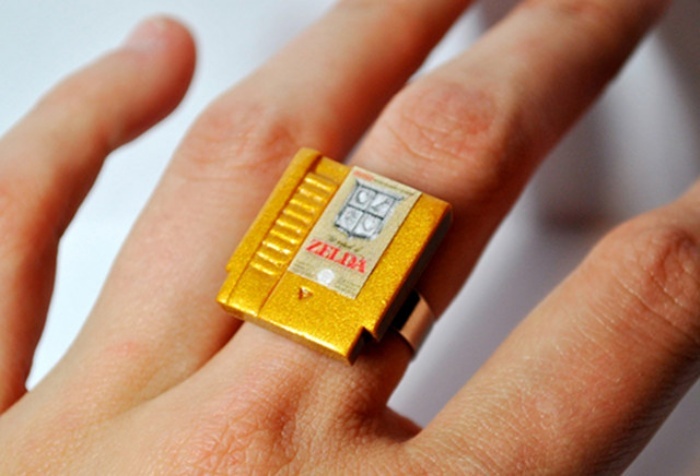 You don’t have to be a gamer to appreciate this awesome set of jewelry that’s fashioned after Nintendo’s game cartridges. These customized trinkets by Etsy seller Jess aka ohmygeekness are available in either gray or gold in the game of your choice. 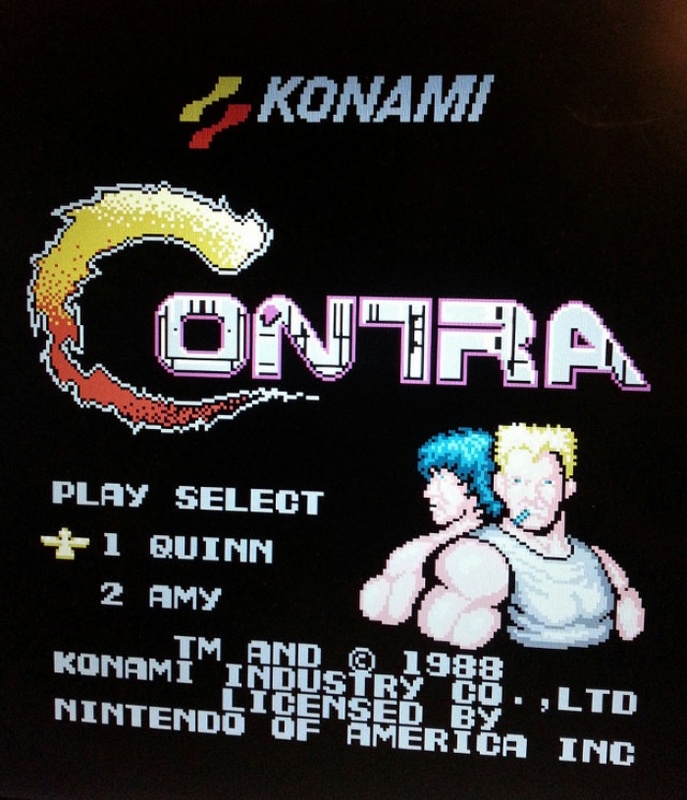 Just make sure you choose the right colored cartridge for the game that you want. I’m sure Jess will oblige with whatever color you prefer, although you’ll have to suffer the wrath of true blue gamers who won’t easily forgive your intentional faux pas. By Hazel Chua on 04/26/13 • Leave a comment! 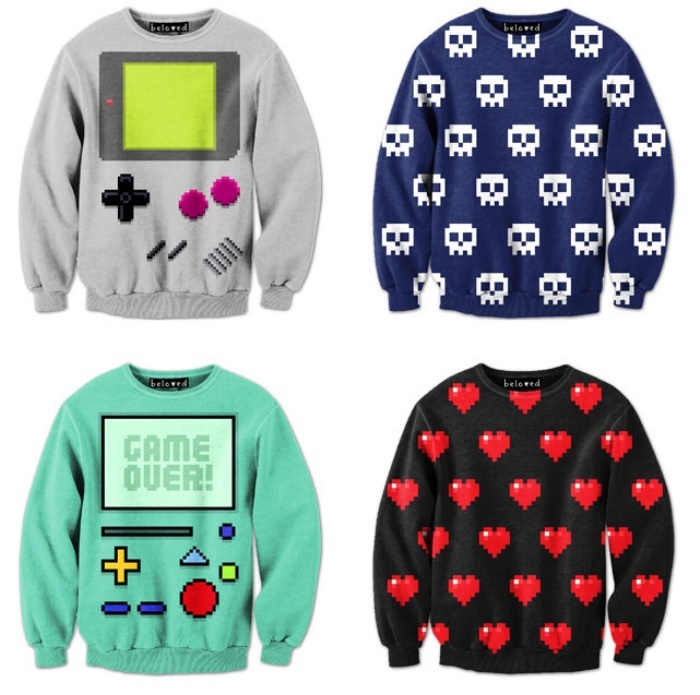 Whoever said that gamers have poor taste when it comes to fashion obviously haven’t seen Drew Wise’s video game-inspired collection of sweatshirts. They’re colorful, they’re snug, and they’re comfortable, which is basically everything a sweatshirt should be. They’re available in designs that borrow themes from video game franchises and consoles, from the Game Boy handheld console to Pokemon.